I have some more blue painters tape ideas to share. 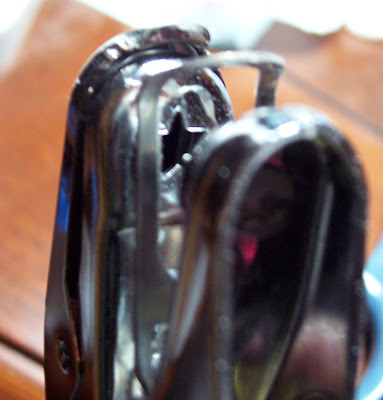 Since I have shown you the craft scissors already I will be using hole punches! You can get these anywhere, craft stores like Michael's or for a cheaper alternative Wal-Mart/Target type stores (they sell the same brand!). I have a star and heart punch. 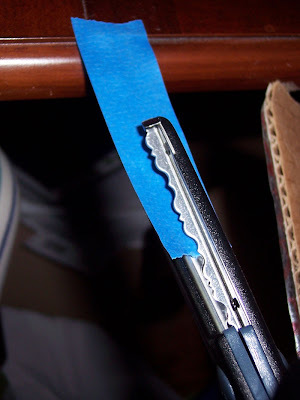 For individual hearts, place a strip of tape on the edge of your work surface and pull it taut and start punching. Punch quickly since the tape is kind of flexible you want a clean edge. Leave enough space in between the shapes so you can cut them :). I always pre-tape one hand so that I won't have to deal with sticking tape on my nails with wet polish on them. 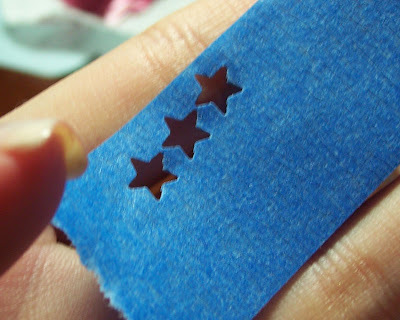 To place them on your nail, gently drop it on your nail and start to press from the center out. This helps keep the shape from warping. Once it's on there, rub the edges so that there is no space in the edges! In the picture above you can see where I didn't press around the edges and it's pulling up. 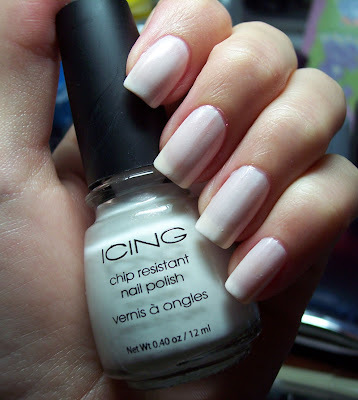 The polish will go under this and ruin your shapes. Paint over the tape, enough to make it opaque as possible in one coat. 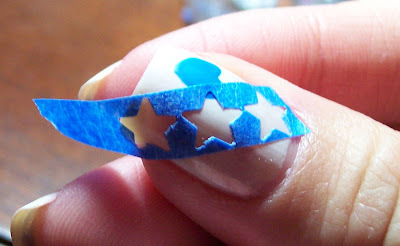 Do one finger at a time, paint and immediately peel the tape off. Peel it slowly!! If you feel too fast it might ruin your edge. 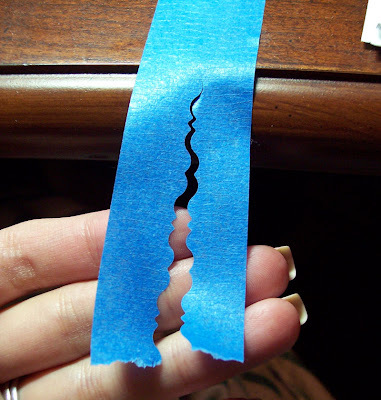 This is trial and error you will get the hang of how fast to peel the tape with practice. 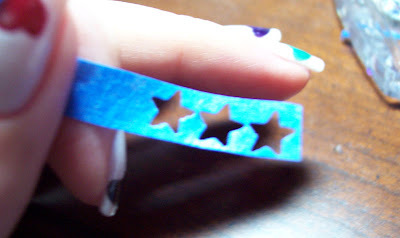 I didn't want to show toes here but I painted all my fingers with hearts but this is what the star punch looks like. Here is another cute idea. 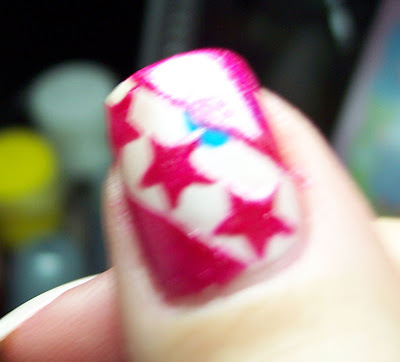 Paint your nails with any color, and punch a shape in a straight line on your tape. Cut the tape so it is in a straight line. 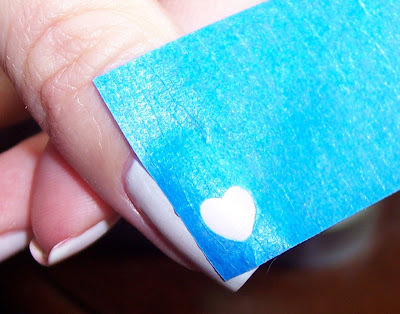 Tape it over your nail in a diagonal. 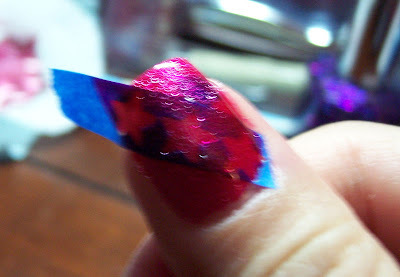 Paint over the entire nail and the tape. I'm right handed and taking close ups of my right hand is near impossible, sorry! Oh and lets just pretend theres no blue heart there either. Slowly peel the tape and there is a pretty cool pattern on there! Here is the finished hearts, I had no plans on keeping this so I tried different colors I think the green glitter is my favorite! As if there aren't enough pics in this post already! One quick and final note about the scissors, if you have an asymmetrical pattern like this one, each side of the tape is a different pattern! Shown above you can see that there is clearly a left and right side. It's like getting 2 patterns in 1! 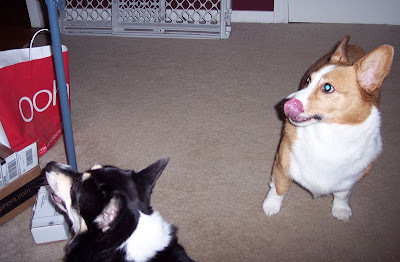 Okay I'm all done, thanks for making it through this long post and have a great weekend! ooo that is too cute!!! you are so creative, i LOVE it. 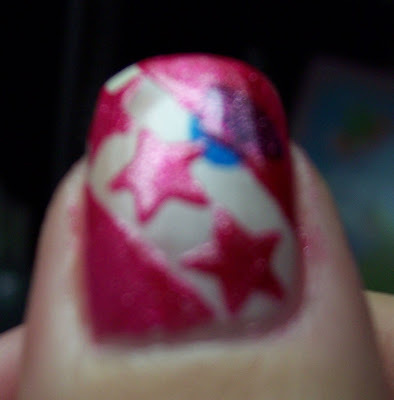 I've had just that idea of making design on my nails for a while but I've a lack of equipment. You've made a lot of beautiful manis' there! Olivia C. thank you the possibilities of how many designs you can make seem endless! Kae that is one amazing idea. Well more than one idea. Love it! I like the row of hearts that's on the diagonal. Very nice. 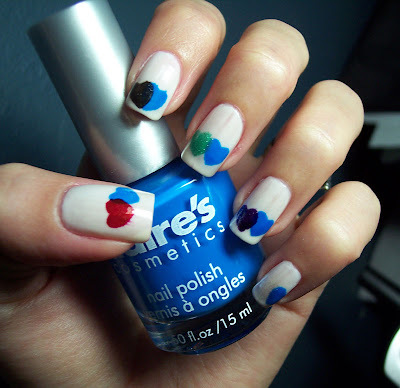 I love the overlapping hearts. You give so many good ideas. Your nails are gorgeous. 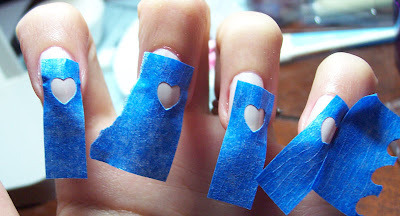 That is such a great idea - I have lots of nail stencils but I think the glue on the painters tape is less likely to ruin your polish. I love the design you cut with the scissors as well. Helen, I've never seen nail stencils sounds interesting! 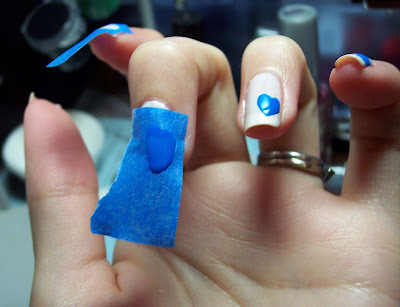 Since painters tape is meant to not strip paint off your walls the tackiness of it is perfect for nails. Great idea! 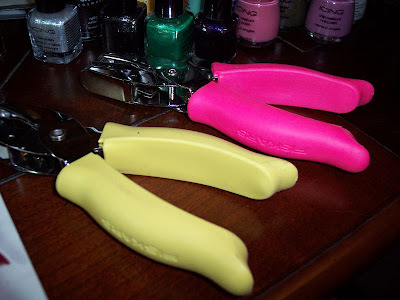 An inexpensive way to replace all these stencils and french nail guides and even less likely to ruin your nail polish as I tend to have problems with getting the stencil glue of my polish. Hi Fina, yes the tape is great for nail polish! You rock on the creativity girl!! Welcome back Brooke, and thanks! Oooooh!thankyou so much for the tip!